Cramps, how to avoid them? 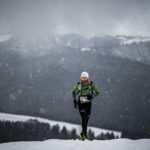 When preparing a trail, many aspects must be taken into account: distance, altitude, physical preparation, mandatory equipment… If all these factors are simple enough to manage and require good organization, nutrition is often the most difficult subject. How will I eat in the days before the race? 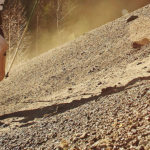 What products do I need to buy for my trail? What should I eat from the supplies? These are all questions that are difficult to answer because the information available on this subject is so diverse and varied. Through the Box Trail, Oxsitis wanted to simplify the daily life of trailers. Menus, recipes, products to be tested, personalized nutritional guide, everything has been thought out so that the question of nutrition is no longer a headache. Presentation. The idea of the Box Trail was born from our desire to offer trailers a complete, educational and simple offer to facilitate the preparation of a trail. This offer makes it possible to meet the nutritional needs of runners, whether they are novices or experts. This Box has been developed by runners for runners. Indeed, a panel of 50 riders, of all levels, was consulted to design an offer that would meet the expectations of all trailers profiles. No more identical packs for everyone, without accompaniment, most often in a cardboard box that is thrown away, unnecessary additional products, instead of a real personalized offer adapted to each trailer. 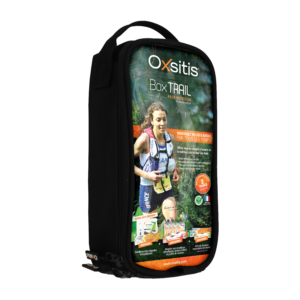 The Oxsitis Box Trail is the result of a reflection carried out over the course of our work with our customers, our retailers and our experience as runners. The nutritional offer for athletes has never been so important but often due to ignorance, bad habits, or erroneous information, these products are not taken in an optimal way and in some cases are even counterproductive. In this box, you will find all the products that can be used to create up to two trails, customized to each person’s needs. Depending on your level, estimated time and route, you will receive a user protocol and a personalized guide. The content of this box also allows you to test your nutrition beforehand. 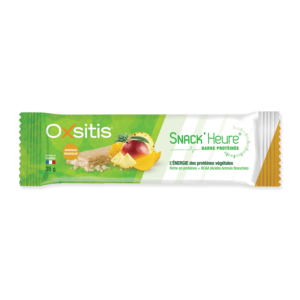 It is obviously not advisable to start a race without first testing your nutrition. It is often because of this bad reflex that misadventures happen (poor tolerance to products, gastric disorders, muscle aches…). To go further, once you have filled in your runner profile and morphological data, you will receive a culinary guide that will allow you to design your sports menus for the 5 days preceding the event, and this adapted to your build. This Box is a real user guide for trailers. It will allow you to familiarize yourself with sports nutrition and discover the right reflexes to avoid destroying weeks of physical preparation through poor nutritional management. 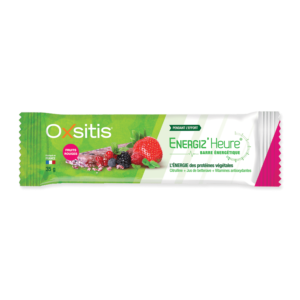 Exercise preparation products, exercise and recovery products, all in different formats (gels, drinks, fruit jellies), everyone will find the solution that suits them best. All this is packed in a fabric nutrition bag to transport and protect all the products the trailer will need. This kit is part of an Eco responsible approach, it will address the issue of packaging waste since it has the advantage of being reusable for various uses (transport of nutrition, transport of equipment, shower kits…). Discover now a summary of Oxsitis’ know-how and expertise in this all-in-one offer.